McDonald’s in Bangkok is pretty expensive. The Big Mac meal with medium fries and drink costs 147 Thai Baht, roughly in 196 in Philippine Pesos. To be fair though, their Big Mac had very juicy patties. That same night, I parked myself in front of my laptop and started going through the pre-work for the training. Seeing that I was logged in, my mentor messaged me and asked what I was doing online on a Saturday night in Bangkok. He urged me to go out and explore the city’s night life. After a quick refresh and change of clothes, I was ready to go. I withdrew money then went straight to the Ratchadamri BTS Skytrain station. Pocket money for the night. I hardly spent it though, I only used it for purchasing BTS tickets. Ratchadamri BTS Station. Good thing that this station was a stone’s throw away from Four Seasons Hotel and Resort Bangkok. Without knowing where to go, the next station seemed to be the perfect choice. The train was not packed yet I chose to stand. The distance in between the two stations wasn’t that far and I arrived in Sala Daeng in less than five minutes. Exploring the Sala Daeng area. Again, I had no clue where I was going. Aimless would be the perfect word to describe my path that night. The night market was interesting, with vendors selling a wide variety of products ranging from clothes to watches to toys (if you know what I mean). 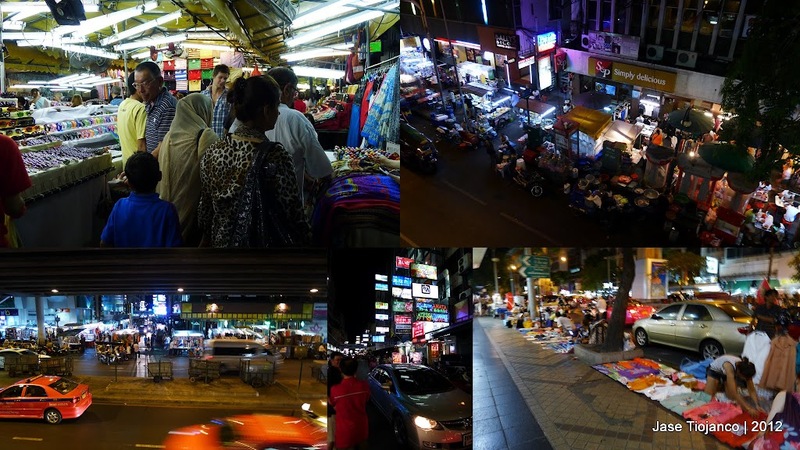 Things took a weird turn when I found myself in Patpong, Bangkok’s red light district. Men were handing me laminated sheets of paper with photos of scantily clad women. “Show, you want show? Hot ladies!“, the men said. Scared, I rushed to the BTS station and headed back to the hotel. That was quite an adventure, I thought. After a quick shower, I went straight to bed. I was looking forward to the day ahead where I’d explore more of the Thai capital. I am very sorry but I wasn’t able to try withdrawing from their ATM using my own ATM card… I used the company issued American Express card to withdraw money. I would assume there’s a charge though.